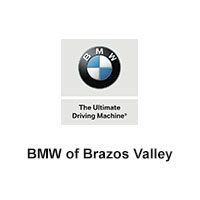 At BMW of College Station, our expert technicians are here to provide quick and precise auto servicing. Whether you’re stopping in for preventative maintenance, a quick oil change, or any other car service, our vehicle specialists are dedicated to exceeding your service expectations. We strive to accommodate all our customers whether they are new or pre-owned car owners. Our masterful technicians treat every vehicle with extreme care and know how to communicate your situation clearly so you can ask all the right questions. See our current service specials below or schedule your next service online by filling out our schedule service form.